2. 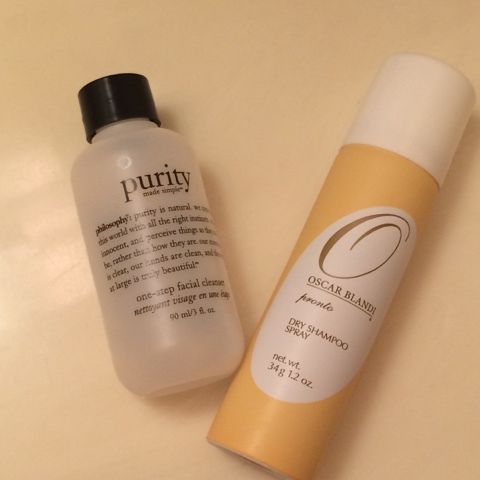 Oscar Blandi Pronto Dry Shampoo Spray: This is pretty decent stuff! It's the first dry shampoo that didn't just cling to my scalp and make my hair gross. Smelled good too! 3. 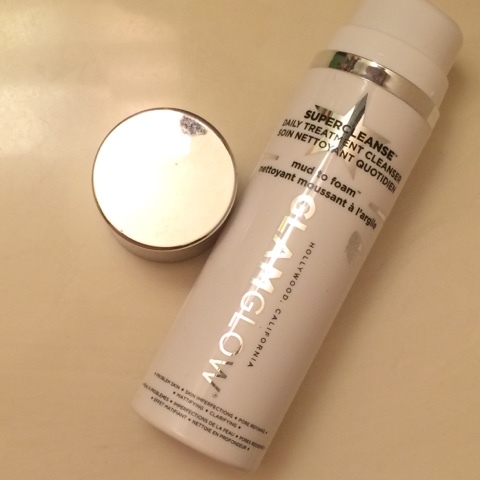 GlamGlow SuperCleanse Daily Treatment Cleanser: I ordered this as soon as it was released at Sephora and absolutely loved it. Personally I found it to be much more gentle than the clearing mask but with daily use it kept my pores more clean and helped kept my breakouts under control. I did find it a bit too drying to use daily on the winter, but this is an excellent cleanser for my oily-skinned gals. 4. Benton Aloe Propolis Soothing Gel: This was a sample from #the3bbox and while I liked it, it did only have 3 uses in it. So I can't say for sure it it actually helped my skin or not. It was like a more rich aloe gel, so I found it soothing after days in the sun. 5. 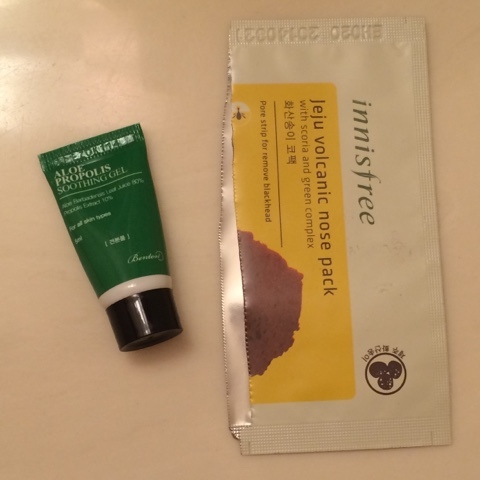 Innisfree Jeju Volcanic Nose Pack: This strip had an odd fit, but I noticed you can use them on your nose OR your chin so then it made sense - lol. This was nice, it didn't smell bad (because some do... like Biore) and it did a nice job removing most of the blackheads from my nose area. I would buy more of these. 6. 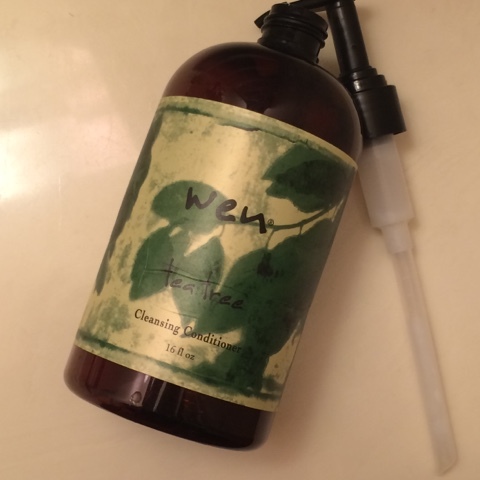 Wen Tea Tree Cleansing Conditioner: I thought this would help my psoriasis but it was terrible. 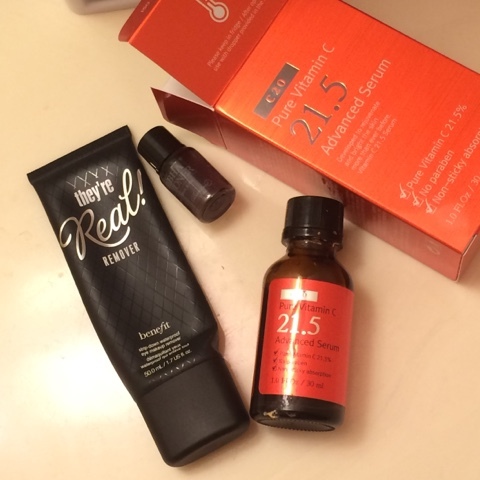 It made my hair get oiler more quickly and didn't seems to helps my itching or flaking at all. I liked the Cranberry Mint much better. 7. 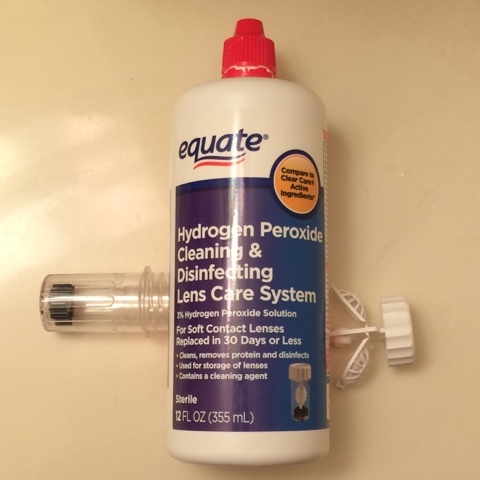 Equate Hydrogen Peroxide Cleaning & Disinfecting Lens Care System: I bought this instead of ClearCare thinking it would be the same, but my eyes got so much more dry during the day. I'm glad this is gone, and I picked up a new version from Bausch and Lomb to try next. 8. Foxbrim Peptide Complex Serum: Nice preventative maintenance for anti-aging. 9. 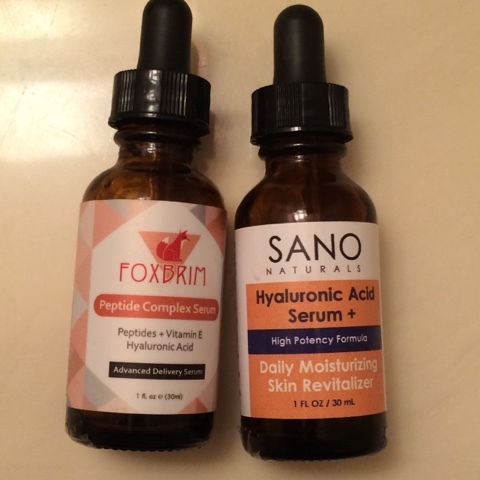 Sano Naturals Hyaluronic Acid Serum: This was a great moisturizing serum. HA is great for all skin types and my oily skin soaks it right in. 10. 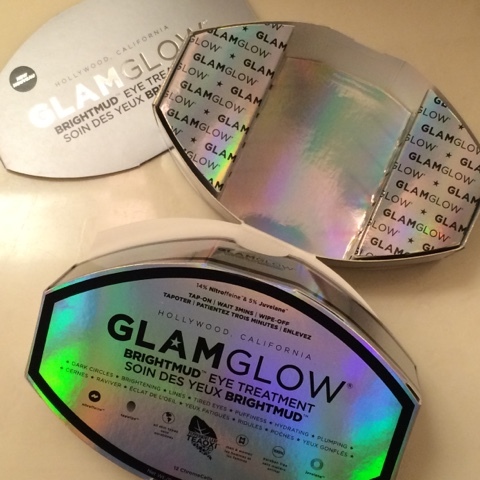 GlamGlow BrightMud Eye Treatment: This is another mask I purchased specifically for my wedding, and I only used it the week leading up to it and the day of. I like how it depuffs and brightens my eyes, but I think it's overpriced and I honestly always forget about it. I find eye pads to be much easier. 11. 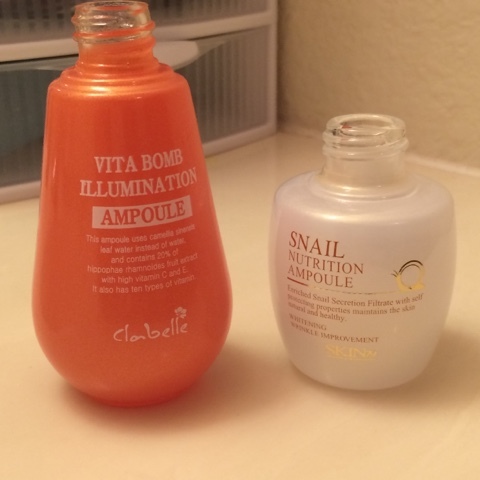 Clabelle VitaBomb Illumination Ampoule: This was a mild vitamin c serum that kept my skin looking bright and helped diminish dark spots. Love it and will probably purchase a new one. 12. Skin79 Snail Nutrition Ampoule: This is my absolute favorite snail serum of all time. It's helped combat lines, it's moisturizing, it's fast absorbing, it's brightening, and it's clearing. My face loves it! 13. 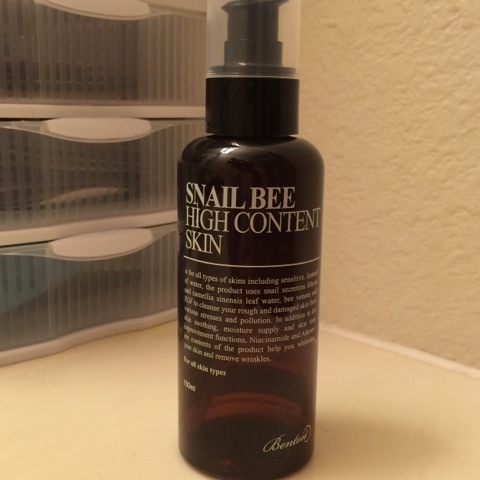 Benton Snail Bee High Content Skin: This toner was contaminated, so I dumped it. While I enjoy a couple of Benton's products, they're not a company I trust. 14. 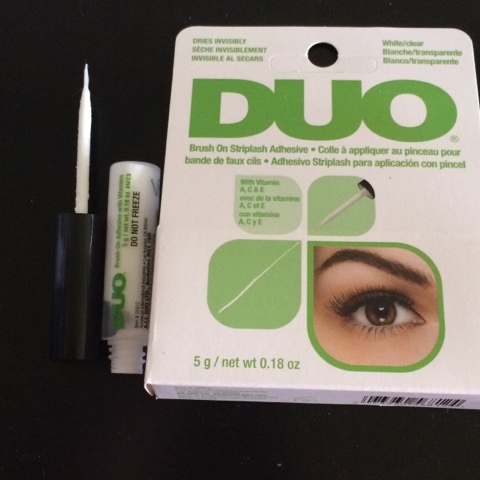 Duo Brush-On Strip Lash Adhesive: I bought this a few weeks ago, and when I opened it up it was completely dried out. Good 'ol Target wouldn't let me exchange it since I lost my receipt (seriously... story of my damn life...) so I emailed Duo directly. It's been a month now and I still haven't gotten a response. Not only will I not try to repurchase this but non-existent customer service makes not want to buy any of their products. 15. Boots Botanics Shine AwayIonic Clay Mask: I originally bought this a few years ago after hearing it was a dupe for GlamGlow, but this wasn't as good. It soaked up oil very well, but it didn't help breakouts like GlamGlow. But for roughly $10, this lasts forever. 16. 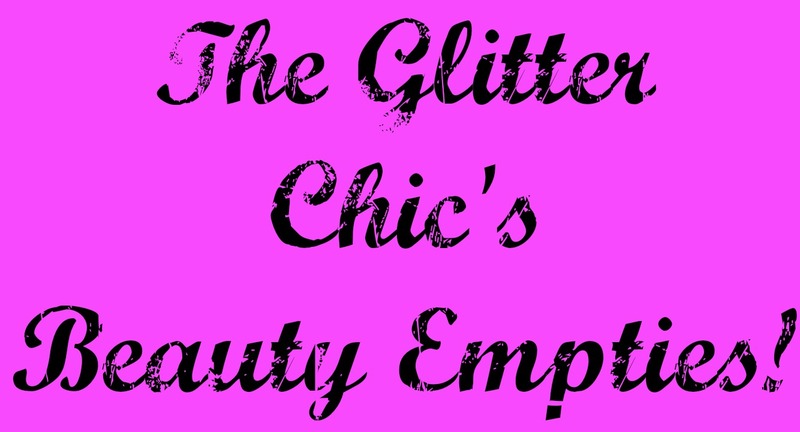 Regenepure Hair and Scalp Treatment: I got this shampoo to review and I really do like it. It smells minty, it cleans up my scalp really well, and make my hair feel thick and full. 17. Retseliney Fruit Cocktail Antioxidant Mask: This is a restoring anti-aging masque that soothes and moisturizes the skin and gently exfoliates when you remove it. 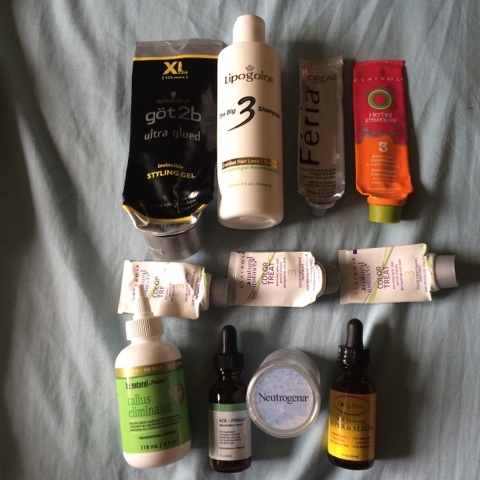 I found it brightened my skin nicely, but was almost too hydrating for my skin type. 18. Benton Aloe BHA Skin Toner: This is my favorite toner of all time, but I have had many issues with Benton in the past, so I'm going to try to not repurchase this. 19. 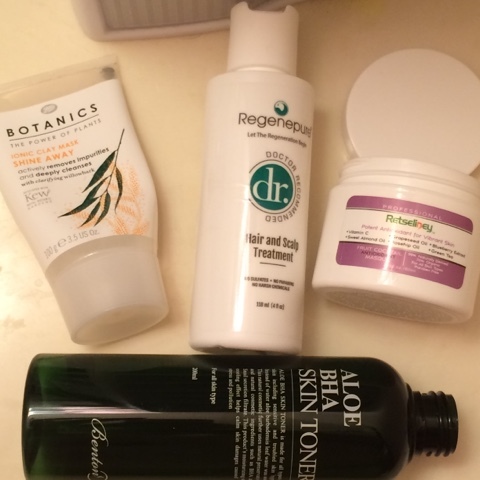 SkinFood Egg White Pore Foam: I hate foam cleansers. But for samplings sake I tried this anyway and it dried out my skin terribly. I don't even want to guess how high this pH is. 20. 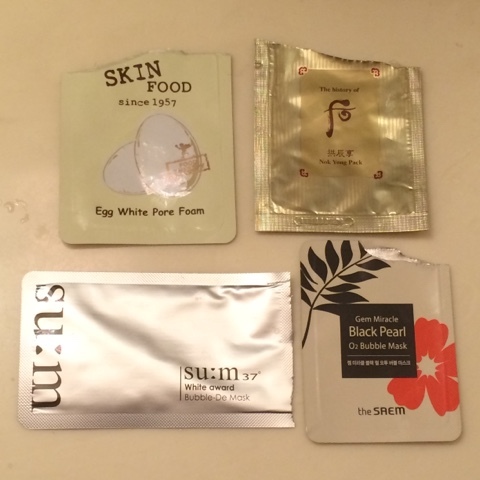 The History of Whoo Nok Yong Pack: This is supposed to be a super moisturizing face mask. It applies like a gluey gel, and starts warming as soon as it hits your skin. It's very relaxing but not as moisturizing as I'd hoped. 21. Sum37 White Award Bubble De Mask: This is a bubbling mask to brighten your face and clean your pores. It's heavily fragranced and made my skin burn. I washed it off after 10 seconds. 22. The Saem Gem Miracle Black Pearl O2 Bubble Mask: Another brightening and clarifying bubble mask. This one was nice, it helped my pores appear clearer and smaller - but it was slightly drying. 23. SkinFood Agave Cactus Emulsion: Smelled so strongly of alcohol I couldn't put it on. 24. TonyMoly I'm Real Avocado Rich Cream: Thick and creamy, but absorbed fairly quickly. 25. Biore Nose Strip: Will probably always be my favorite, it pulls out everything. 26. TheFaceShop Oil-Drop anti-aging Serum: This was very thick, but felt good on the skin. It spread out nicely but was so oily I had to dab my face with cotton to absorb some excess. 27. Exuviance Intensive Eye Treatment Pads: Cooling and refreshing. 28. 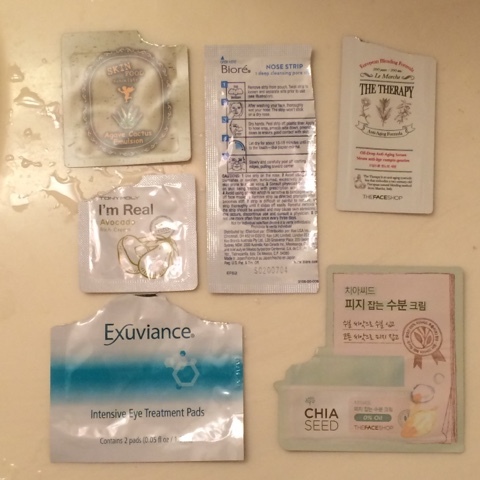 The Face Shop Chia Seed Cream: This was like a lightweight gel. 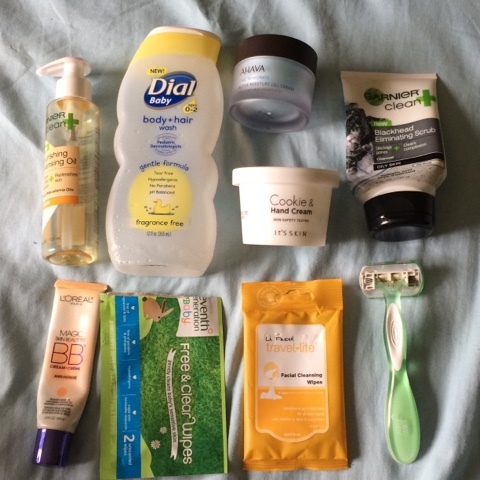 It absorbed quickly into the skin but made my skin feel moist and look glowy. 29. 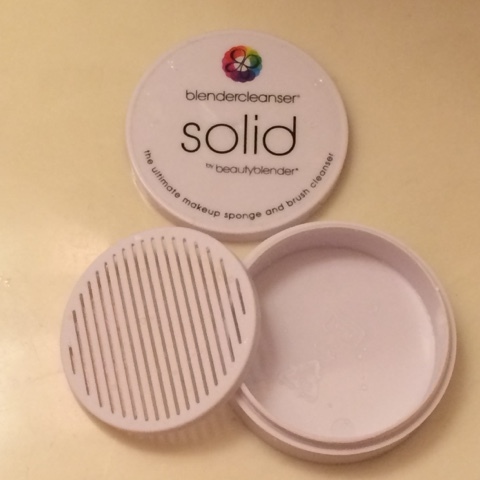 BeautyBlender Solid Blender Cleanser: Best makeup tool cleanser ever. It takes the stains out of my beauty blender and my brushes so easily. Bummed it's gone. 30. Benefit They're Real Remover: This burned my eyes a bit and didn't work any better than other eye makeup removers I've tried. 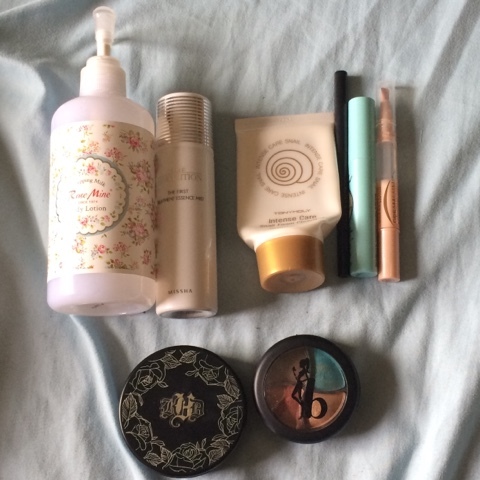 Won't repurchase. 31. Benton Aloe BHA Skin Toner: A sample from "The 3B Box", it smelled different from the full size (which actually has no scent at all) so I didn't use it. 32. C20 Pure Vitamin C 21.5 Advanced Serum: This honestly didn't work as well as I'd hoped. It didn't allow any further pigmentation to occur, but I wouldn't say this brightened my complexion or lightened any existing pigmentation either. I'll continue searching for a better vitamin c serum, this one is on par with other basic serums I've tried, but more sticky. 33. 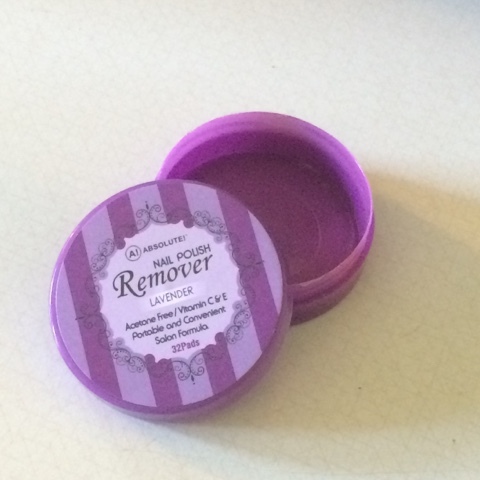 Absolute Lavender Nail-Polish Remover Pads: These worked surprisingly well for the first acetone-free nail polish remover I've ever used. They smelled good, I could use one pad for 3-4 nails, and they really moisturized my nails. 34. 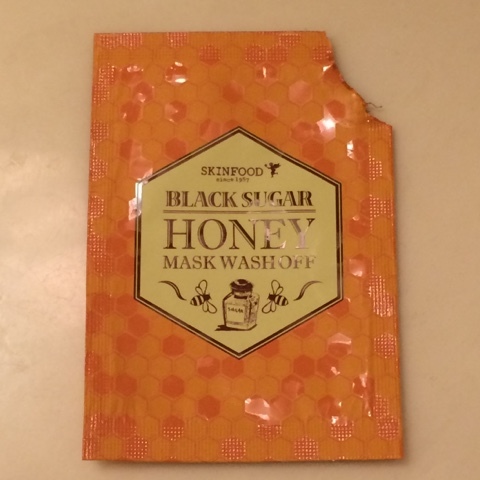 SkinFood BlackSugar Honey Wash-Off Mask: This is probably the most amazing thing SkinFood has ever made. It smells like sweet, fresh honey, has the perfect consistency, provides very gentle sugar for exfoliation and doesn't irritate my skin at all. It is lightly hydrating too, I just have no complaints and would love the full size of this. 35. Beauty Protector Protect & Detangle: This smelled great but since I chopped my hair I don't use it has often for styling. 36. SimpleSkincareCleansing Facial Wipes: Worked great but contain alcohol so they irritated my skin. 37. 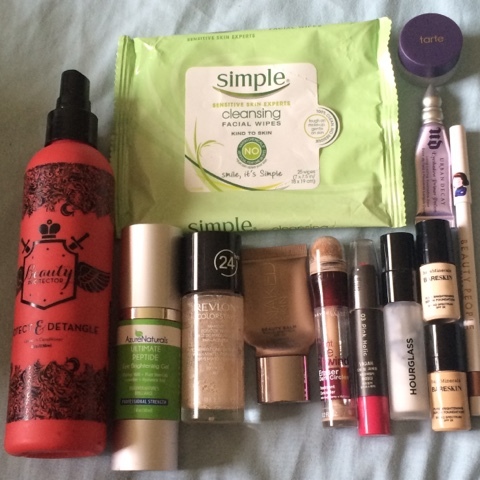 Tarte Clean Slate Primer: Made me super greasy. 38. Urban Decay Eyeshadow Primer Potion: I like this, but my NYX works great too and is a lot cheaper. 39. Azure Naturals Eye Brightening Gel: This was a thicker gel that smelled like cucumber. I can't complain, but it wasn't special either. 40. Revlon Color-Stay Foundation: This used to be a favorite of mine til I found out alcohol was the bane of all my skin problems. Unfortunately I will no longer repurchase this. 41. Urban Decay Naked BB Cream: Smells weird and offers no coverage. I like that it blurs my skin imperfections but don't like that it makes my skin look orange. 42. Maybelline Age Rewind Concealer: Thick, heavy, and creases easily. 43. Yadah Lip Crayon: This was no my favorite color, and I've had it far too long, so I tossed it. 44. Hourglass Mineral Veil Primer: Keeps my makeup in place all day but clogs my pores. 45 & 46. BareMinerals BareSkin Serum Foundation: This is everything for me on light coverage days. These samples lasted forever, two drops from each covered my whole face. 47. BeautyPeople SnowWhite Gel Liner Pencil: This was super smooth and silky, I used it on my lids a lot. 50. OPI Nicole: Roughles "On What Grounds?" 54. Sally Hansen: Hard as Nails "Confetti Punch"
55. Sally Hansen: Hard as Nails "Pep-Plum"
60. Got2Be Ultra Glued Styling Gel: This is nice for getting your hair to stay however you want it to, but it's so sticky! 61. Lipogaine Hair Loss Shampoo: This made my hair feel much thicker, it was nice. 68. Solvaderm Ace-Ferulic Rejuvenation Serum: This was a nice acid for daily use. 69. Neutrogena Microdermabrasion System Puffs: I love these. They're probably too harsh to be using, but I love how my skin feels afterwards. Unfortunately I can't find refills in stores anymore, I'll have to look harder online. 70. Body Merry Age Defense Super 6 Serum: Decent preventative serum for anti-aging. 71. Rose Mine Whipping Milk Body Lotion: My favorite body lotion ever, and it came from Memebox. I miss the old Memebox when they sent out incredible products for cheap prices. 72. Missha Time Revolution First Treatment Essence Mist: This was nothing like the regular First Treatment Essence. It did nothing for my skin and almost burned my skin a little. 74. No Bleeding Lips Secret Lip Liner: This was the first "real" lipliner I ever purchased, and I realized I wasn't missing anything. I have a few others from the drugstore now, but are these things even really necessary? 75. Too Faced Lip Insurance Lip Primer: This was nice! 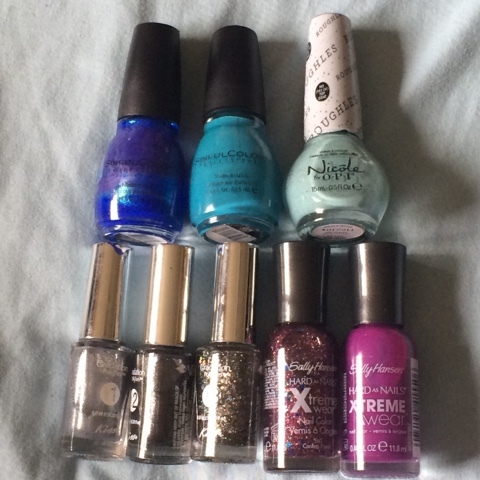 I might repurchase it if I don't like the NYX one I have as a back-up. 77. Kat Von D Lock-It Tattoo Powder Foundation: I loved this formula, but I had the lightest shade and it looked dark and orange on me. 78. Be A Bombshell Eyeshadow in BoraBora: This is an old Ipsy product, and it just isn't holding up well. It's hard, and looks funny on the top, so I tossed it. 79. 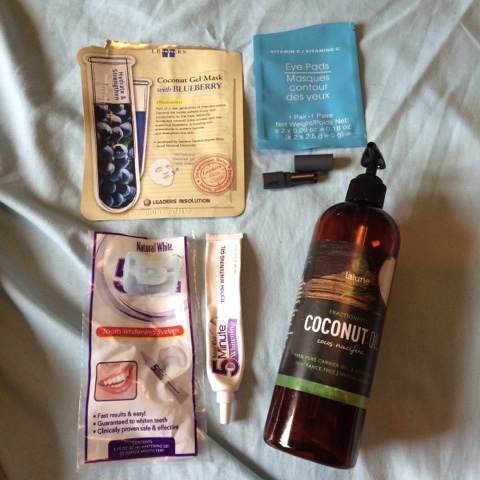 Leaders Insolution Coconut Gel Mask with Blueberry: These are the most effective sheet masks I've used, but the smell is really off-putting. This was very calming and hydrating but I don't know if I'll repurchase. 80. Vitamin C Eye Mask from the Dollar Tree: Nice find, I think these were two for $1, and they worked just fine! 81. Bite BeautyWhipped Cherry Scrub Stick: Love the packaging, but the scrub didn't work quite as well as I'd hoped. 82. Natural White 5 Minute Teeth Whitening Kit: Worthless. 83. La Lune Naturals Fractionated Coconut Oil: My favorite carrier oil, and a great skin moisturizer. Love this stuff. 84. Listerine Cool Mint Antiseptic Mouthwash: Burns so good... Seriously though, I'm too old to have so much pain in my mouth lol. I bought Act this time around. 85. 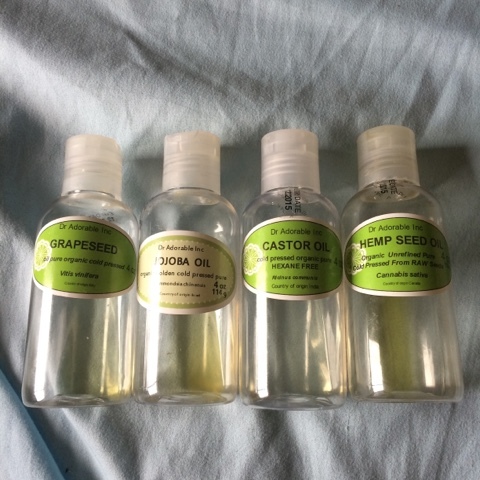 Oz Naturals Sea Infused Herbal Moisturizer: This moisturizer is great for any skin type. Even my oily skin found this to be absorbed nicely and didn't make me greasy during the day. 86. Garnier Clean+ Makeup Removing Lotion Cleanser: This was like a chunky, gloopy, oil. I didn't enjoy this at all. Supposedly it contains no oil, but it sure leaked a lot of it! 87. TonyMoly Blueberry Lip Balm: Hydrating with a nice tint of pink. I'd repurchase if tubs of lip balm didn't frustrate me so badly. 88. Benton Cleansing Wipes: This was a free gift, and they worked ok for cleaning swatches off my hands. 89. Garnier Clean+ Nourishing Cleansing Oil: Meh. A little heavy, probably won't repurchase. 90. Dial Baby Body + Hair Wash: I use this on Bug as a body/hair wash, and hubby and I use this as a body wash. It's nice and gentle. 91. Ahava Time to Hydrate Gel: This was nice and light for my oily skin, the scent was so strong! 92. It's Skin Cookie & Hand Cream: I wanted to eat this so bad! Seriously, it looked like mint chocolate chip ice cream and smelled like thin mints. It kept my hands hydrated and didn't feel greasy. It was perfect. 93. 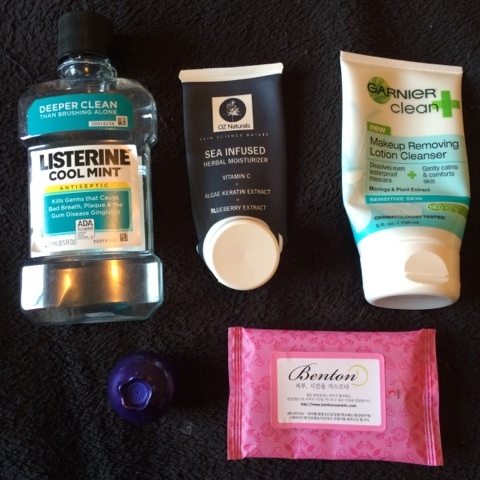 Garnier Clean+ Blackhead Eliminating Scrub: This cleanser helped my pores a lot. 94. Loreal Anti-Fatigue BB Cream: This was ok, I didn't really feel like it did much, I wouldn't repurchase it. 95. Seventh Generation Wipes: These were nice for removing swatches! 96. LaFresh Facial Cleansing Wipes: These had a strong scent and felt really soapy. 97. Bic Soleil disposable razor: This was ok, got it free a while back from BzzAgent, no complaints. 98. 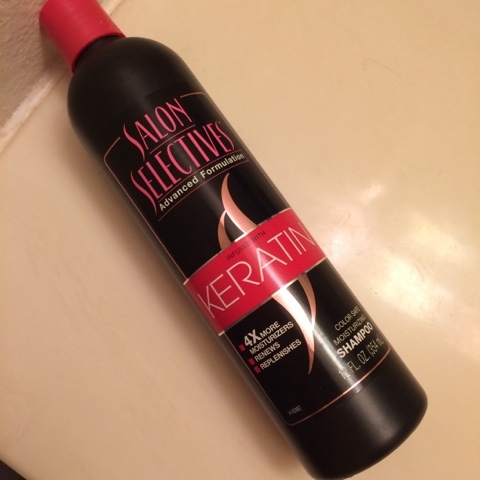 Salon Selectives Keratin Color-Safe Moisturizing Shampoo: This was a Dollar Tree find, and I was really impressed with it! Contained no alcohol, didn't dry out my hair, and did seem to preserve my hair color fairly well! 99. 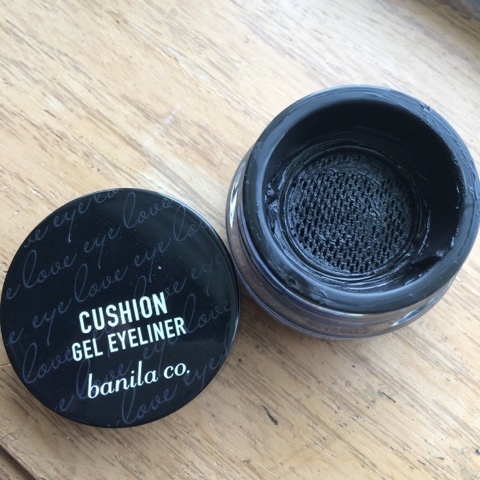 Banila Co Cushion Gel Eyeliner: I wanted to love this so badly, but the formula is too chunky. 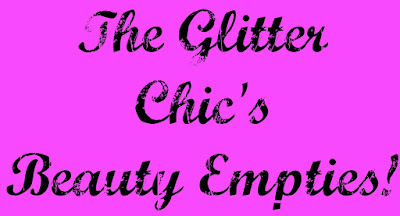 It was just really difficult to work with and I always had a mess on my eyelids. I almost jumped when I saw the Salon Selectives! I am sure that is a brand that I used when I was in California in 1999 and haven't seen since!! I can almost smell it .....aren't memories weird! ?